Over and out on the SuperTour. The season-long series of races running from December in West Yellowstone, Montana to SuperTour finals in Presque Isle, Maine have concluded . Eighteen competitions in total with points allocated for each race, athletes are ranked in three categories: Overall, sprint and distance. 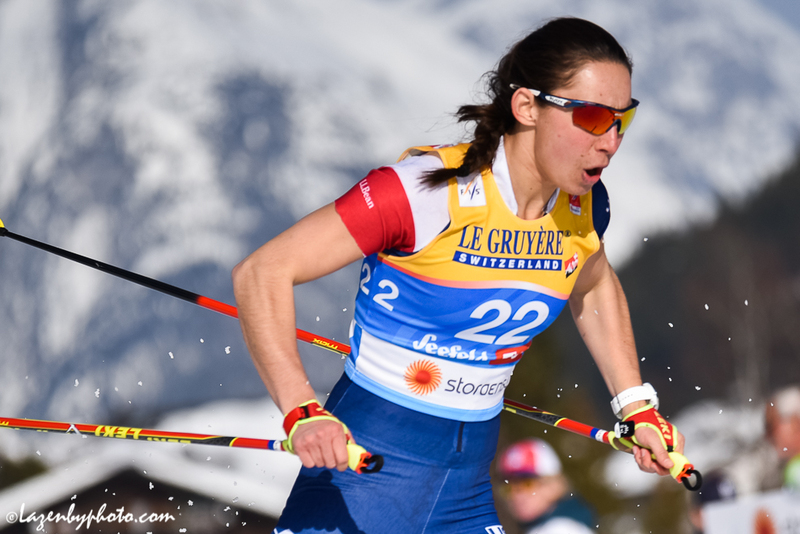 The overall winners on the SuperTour, male and female, are guaranteed Continental Cup winner starts for World Cup Period 1 beginning in Nov. 2019. Kyle Bratrud (SMS T2) and Julia Kern (SMS T2) won the men’s and women’s overall series. Kern topped the overall points list for the women with 343 points — 212 in sprint, 131 in distance. At 21-years-old, Kern spent much of the second half of the season in Europe racing World Cups along with a set of races at U23 Worlds. Domestically, Kern raced in 10 of the 18 total SuperTour events. However, her point total was maximized by racing in the seven events included in the “Nationals” and “SuperTour Finals” category. 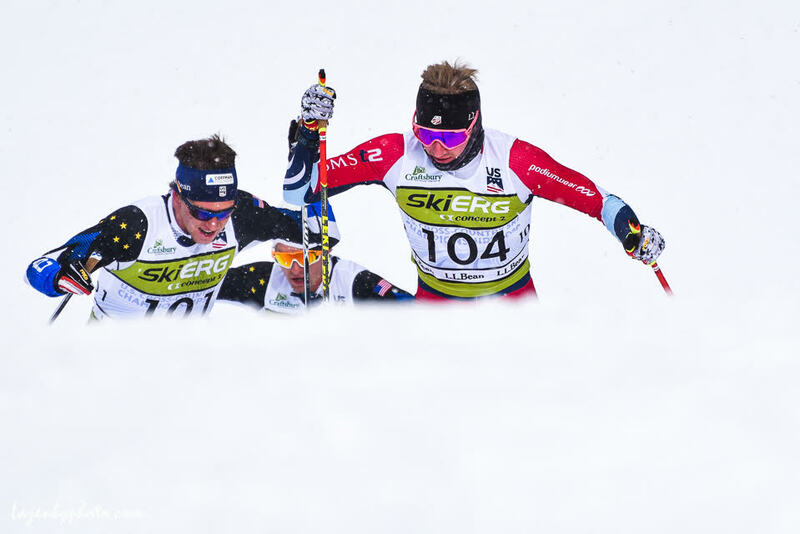 In other words, the seven races comprising these events, four at Senior Nationals in Craftsbury, Vermont and three from SuperTour Finals, were weighted events: the points on offer were doubled. For example,during regular SuperTour races, the winner receives 25 points. In a “weighted” event the winner earns 50 points. Along with Kern, Kaitlynn Miller (CGRP) and Jessica Yeaton (APU/Australian National Team) were second and third respectively in the SuperTour overall. Caitlin Patterson (CGRP) placed fourth and Alayna Sonnesyn (SMS T2) fifth. Kern also won the SuperTour sprint title. Miller was the overall SuperTour leader in the distance category. Points earned in events categorized as “Nationals” or “SuperTour Finals” were scored and tallied to determine a Grand Champion. With 272 points, Patterson won that title. Bratrud won the overall SuperTour series with 307 points, the vast majority of that total coming from his distance results. He earned 263 distance points, 44 in sprints. He was also the leader in the distance standings. Second in the overall standings was Ben Saxton (SMS T2) with 235 points, who unlike his teammate Bratrud, buffered his overall standings with sprint points. He earned 189 points in sprints, 46 in distance. Saxton was the overall SuperTour sprint leader. Rounding out the overall SuperTour standings, David Norris (APU) was third, Ben Lustgarten (CGRP) fourth, and Akeo Maifeld-Carucci (CGRP) fifth. Norris, with 222 points, became the Grand Champion – with the highest point total from Senior Nationals and SuperTour finals. Link to SuperTour Points List.